Pottery Painting is something that most people express an interest in. There is something hypnotically therapeutic about the process of pottery, which is why even people who are not artistically inclined are drawn to it. Plus if you are inclined to be adept with working with your hands at drawing and art, then you can paint pottery to make it look even more appealing, There are some techniques involved in the process of pottery and its decoration. This includes the preparation, the throwing and then molding and decorating the pottery.Some of the way of decorating pottery includes glazing the pot, painting it and even engraving or carving it. You can glaze a pot by many methods including spraying or dipping or even pouring on top or brushing it. One of the methods of decoration is where slips are strategically stuck on the pot and then paint is applied on the pot enabling a design to be created. You can create pottery designs that have many designs and textures to be formed.Another way of prettifying your pottery is by glazing. A nice glaze can also be applied to coat other glazes to have a different look. This is known as overglazing, which can be put on top of a glaxe then both can be matured at a certain temperature. A slip is a fluid mix of colors and clay that can be applied to most surfaces. It is very create an impression on it by carving and left to dry. The only caution while decorating a bit of pottery is that you should exercise patience. You need to let a layer of paint dry before you can apply another one or glazing. You will find that the hairdryer is very useful in drying acrylic paints. The thing about pottery is that it has value in terms of usage and adds to the look of the décor too. 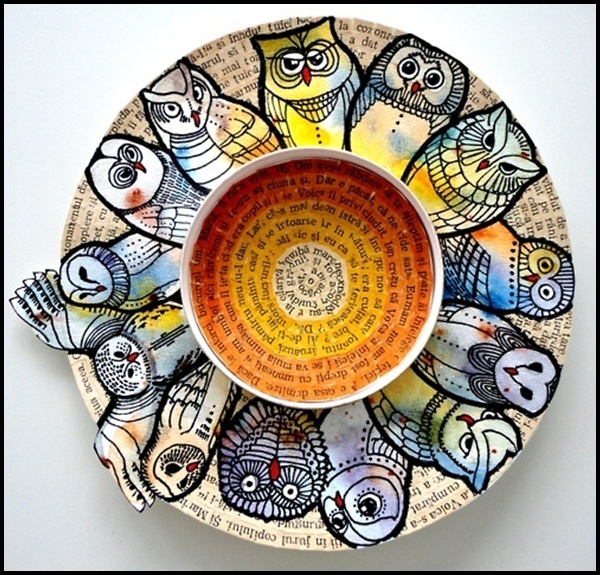 Here are some amazing Pottery Painting Ideas and Designs to inspire you.